According to study the rich and well-to-do were twice as likely as the poor to have sought police help or contacted them. 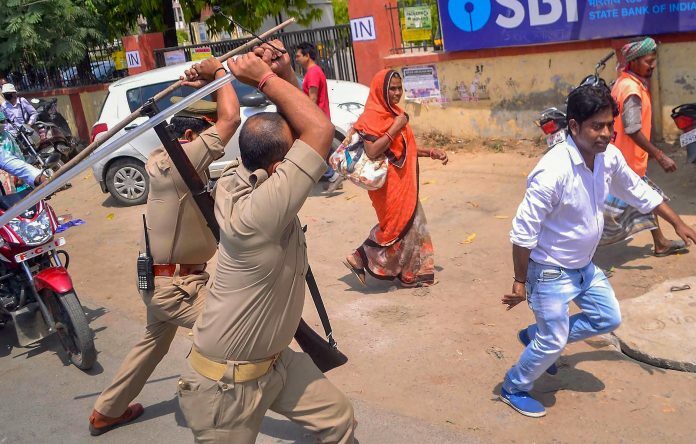 New Delhi: Police interaction with Dalits and Adivasis is the rarest of all communities, a study conducted by NGO Common Cause and the Lokniti programme of the Centre for the Study of Developing Societies (CSDS) across 22 states of India, has revealed. As part of the survey, a respondent pool of 15,563 was asked in June-July 2017 whether they had had contact with police in the past four to five years. Only 14 per cent said they or their family had. Of the Muslim respondents, 17 per cent said they had had contact with police in the specified period — the highest on community lines. They were followed by other backward classes (15 per cent), upper castes (13 per cent), and the Dalits and Scheduled Tribes (12 per cent). According to the study, which sought to analyse the perception of police along state and community lines, the rich and well-to-do were twice as likely as the poor to seek police help or contact them. A similar trend was observed among the literates and illiterates, with the former twice as likely to contact police as their illiterate peers. Interestingly, the researchers also found that among those who reported contact with police, 67 per cent approached the force themselves while 17 per cent were contacted by police personnel. Breaking this down further, the upper castes (13 per cent) were least likely to have been contacted by police, while the Adivasis (23 per cent) and the Muslims (21 per cent) occupied the other end of the spectrum. “In terms of class hierarchy, the likelihood of police contacting a poor person is nearly twice as high when compared to the upper class,” the report added. The trend reportedly differs along gender lines too — men (17 per cent) were more likely to have contacted police than women (11 per cent), a fact attributed to the lack of a “gender-friendly environment at police stations”. “Studies have documented that the lack of a gender-friendly atmosphere in police stations and the misbehaviour and extortionist nature of police personnel in India inhibits women from visiting the police station alone,” the report said. A large share among the survey’s women respondents also said they preferred being accompanied by someone when going to a police station, with only 14 per cent saying they were OK doing so alone. The reasons cited centred on the perceived patriarchal attitude of police personnel and the absence of women personnel at most police stations. As many as 23 per cent of the male respondents said they were more likely to visit a police station alone. Among states, Jharkhand respondents (91 per cent) expressed maximum satisfaction with police functioning, with their Delhi peers (50 per cent) not sharing the enthusiasm. Satisfaction was also reported to be high by respondents from Kerala (72 per cent), Uttarakhand (82 per cent) and Telangana (74 per cent). According to the report, police’s refusal to help was the most commonly cited reason for dissatisfaction. According to the report, people of Himachal Pradesh were the most satisfied with the investigation of crimes in their state, while Bihar was least satisfied, bias being a common refrain among the respondents. Other states where the satisfaction with investigation of crimes was low were Karnataka, Madhya Pradesh, Jharkhand, Delhi and Telangana.